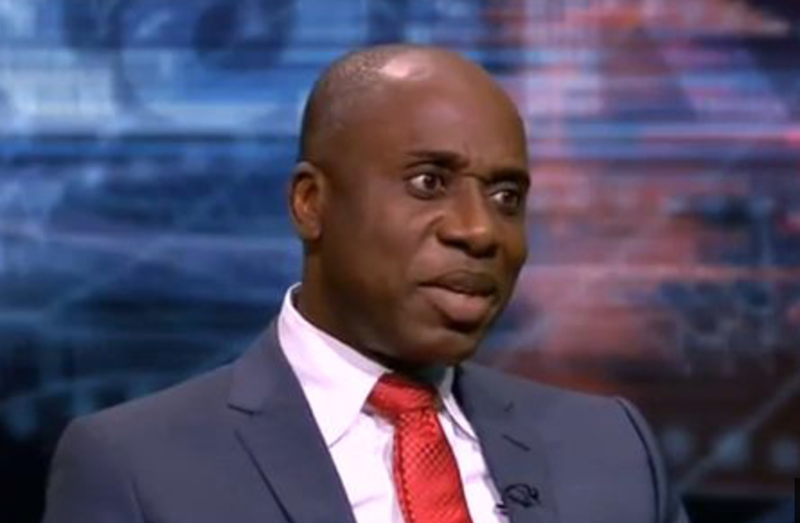 Former Rivers state Governor, Rotimi Amaechi has written to Bancorp Bank in Minnesota in the United States that the alleged $757 million Dollars domiciled in an account in his name; was authorized by him in error; from a Rivers State Government Account with Access Bank Plc. The Nigerian most corrupt governor according to CNN letter reveals that a similar letter was also written to a bank in Switzerland; stating that a similar authorization was made in error. The letter stated that the said transfers to both banks were for the purchase of security Helicopters, payments to a foreign company to combat malaria in Rivers state by using helicopters to spray mosquito insecticides, and for the purchase of an official residence for Mr. Rotimi Amaechi, in America. The letter further explains that, the payments for the security helicopters, and mosquito insecticides to fight malaria were made through other sources, after the funds had already been transferred abroad. He reminded the bank that the Rivers state law on his severance package, provides for an official residence for a former governor; of which he chose to have his residence in America. Amaechi said that, this law was later amended to have his official residence built in Nigeria, after the funds had already been transferred to Bancorp/Minnesota Account. Mr. Amaechi said these changes were the reasons he communicated the consultants for purchase of security helicopters, his official residence in the U.S and the Insecticide companies not to access the funds; since they have been paid through other sources. On receipt of the governor’s letter by the Bancorp Bank, the bank has written to the Federal Government of Nigeria to repatriate the said funds to Rivers State treasury. Investigations further revealed that President Buhari is not disposed to this request to repatriate the said funds without a trial of the former governor; to ascertain the governor’s alleged errors in these transactions. Why would it take Christiane Amanpour of CNN, to remind Amaechi of such errors of over N80 billion Naira public funds in two different countries, and why in his name ?” Queried the Presidency. Recall that Christiane Amanpour accused the former governor of Rivers State; Mr. Rotimi Amaechi of stacking the sum of $757 million dollars (N80 billion Naira) in Bancorp Bank in Minnesota in the United State.